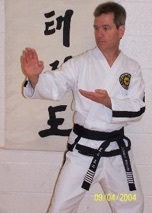 Master Instructor Terry Batch is a 8th Degree Black Belt, an Internationally Certified Instructor and a Class A International Umpire, as well as the owner and president of Tae Kwon Do Training Centers. Chief Instructor Emily Batch is a 5th Degree Black Belt and also holds International Instructor certification and is certified as a Class A International Umpire. The husband and wife teaching team has taught for over 37 years in the Saginaw Valley area, beginning as instructors at Delta College in 1970 when Taekwon-Do was new to the United States. As pioneers to the art, they have been leaders in bringing Taekwon-Do to this community and many others. In 1971 they began teaching at the Midland Community Center and founded Tae Kwon Do Training Centers, the first martial art instruction offered in the city of Midland. 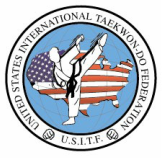 In 1984, when Master Terry Batch obtained his 4th Degree Black Belt; he was only the 66th person to do so in the International Tae Kwon Do Federation. They each also hold Black Belt ranks with Chang Moo Kwon, Tae Kwon Do Training Centers, United States Taekwon-Do Federation, United States International Taekwon-Do Federation, World Tae Kwon Do Federation, and The International Taekwon-Do Federation. As a master martial artist, Master Terry Batch is best known for his innovative board breaking demonstrations, often showcasing unprecedented new breaks. Emily is known for creating a women’s self-defense program designed to teach simple, easy to learn techniques that can save lives. Both Terry and Emily are award-winning performers of patterns and sparring, exhibiting speed, agility, grace, and power. Terry and Emily are renowned as outstanding instructors, sharing their love of Taekwon-Do with thousands of students over the past 37 years. They have produced over one hundred 1st degree black belts, seven which have advanced to Senior Black Belt ranks. The Batch’s also teach women’s self defense and give demonstrations to schools, boy scouts, senior citizens, women’s groups, and others. Their enthusiastic teaching style and dedication to students of all ages has inspired many to be their best in every area of their own lives. Both Terry and Emily have trained with Grand Master Choi Jung Hwa (son of General Choi, the creator of Tae Kwon Do) and with many of the world’s top Master Instructors. Master Terry Batch received personal invitations from the late Grand Master General Choi Hong Hi himself; “The Father of Tae Kwon Do”, training with him, an honor few experience. In 2004, Master Terry Batch was honored by being inducted into the Midland County Sports Hall of Fame; the first martial artist ever to be inducted into the Hall of Fame. You can visit the display at the Midland Civic Ice Arena.